After completion of SSC CGL Tier-1 exam, the next big question is which topics to cover for the Tier-2 exam. In Tier-2 there are four papers. First two papers of Maths and English are compulsory, while third and fourth are for special posts. 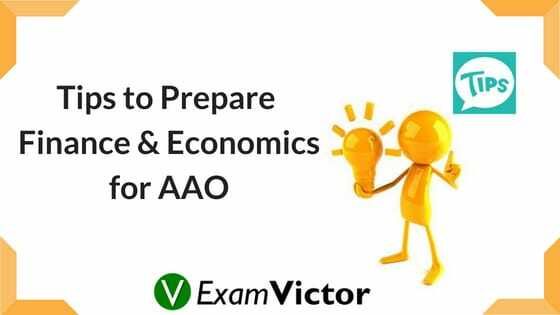 Here, we will discuss preparation strategy for Finance and Economics papers for Assistant Audit Officer (AAO) post. The syllabus of this paper can be divided into two main sections, Finance & Accounting and Economics & Governance. The level of the topics is of graduation level and the knowledge of this paper is a must for Assistant Audit Officer (AAO) post. In this blog post, the focus is on building strong basics by having root knowledge of topics. After clearing the concepts, practice wholeheartedly to get good results. if you liked this article and want to know more about our SSC CGL Course then please click on the link given below.